Reoch has such enthusiasm about art and goes about his collection in such a methodical and yet spontaneous way. He focuses on emerging local talent and never spends more than $6000 for a piece. He says if it costs more than that, the artist is already established and doesn't fit his criteria. He also says it's more fun to pay $800 and have the artist feel like he (or she) has won the lottery. Delightful! Exciting! Reoch's comments about several of the pieces in his collection were very thoughtful. I think they will even help me speak more eloquently and with more insight about my own work. Many many people have huge interest in art (and deep pockets). 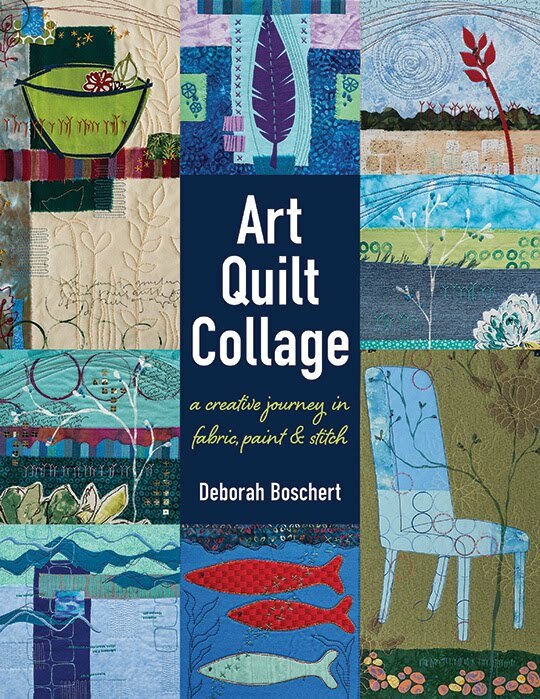 Are we "art quilters" selling ourselves short by getting too buried in tradition? I know this question has been discussed to death, so feel free to roll your eyes, ignore it and get to your studio to make more art. That's what I'm going to do. Yes. Way too steeped in tradition, rules and technique if you ask me. Did Jackson Pollack consider the longevity of his art or did he pour the paint as though it were his blood and he needed to catch a train in 20 minutes? I say slap it down and sew it. get your voice on the cloth. upsh yourself beyond your fiber idols and don't look back. 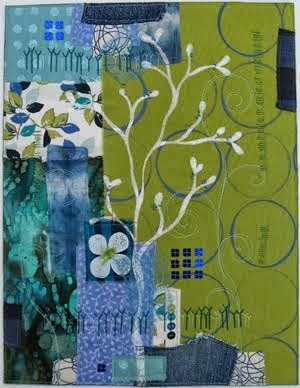 I wish I could walk away from the quilt world and I wish it would come half way to my point of view too. Great post. I think artists in any medium, who break the barriers and start new trends, have the ability to leave traditon behind and break new ground without fear. I thought you were going to talk about Rock Star :) This was much better for my brain! !